DotA 6.71 Bug & Expoit has been found. 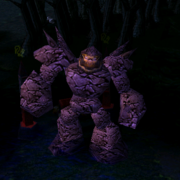 After having so many bug fixes in this DotA 6.71, a new bug has been discovered. It is with Zeus Thundergod's Wrath upgraded version. It will deal massive amount of damage after Aghanim's Scepter upgrade which can instantly kill your opponents. This bug can be game breaking at some point. Hope IceFrog releases DotA 6.71b soon for it's fix. First blood! What a good bug! will try it! Oh year first time first blood! Imba bug and nice discovered. i think this accidentally discovered a new concept, what you guys think? i mean like in the inventory..
y remove the bug? after all zues is a god! how to change the design of the inventory shown in that video . can anyone tell me how? cool! !, i will try it! hmm, does it still release in map 6.71c? im always using zeus just to have fun..
Is it working on 6.71 6v6? he is usefull when Clash hehehe IMBA!!!!! i thinks its the 3rd skill that affect the LvL 6 skill not a bug.. this must not be fix, you cant still have a countermeasure about this matter. If you look to the replay there are only zeus and invoker in game soo? wtf? idiot it is a bug.. i think he's showing us how its done with -test with his friend. its is -test stupid IDIOT! your so Stupid common sense! ULOL AT 11 SECS KUNKKA DOSENT DIE BUT AT 20 SECS HE DIES??? what is the theme on the video ?? Saying "First Blood" makes you an idiot? For the love of god, you can stop being stupid! Saying First Blood have nothing bad. Pls get back the naruto battle royal game in new dota version because it is the best game id ever play!!!!!!!!!!! if you want to get it back then post t on the forum!Its not a forum here its a guide,map download/changelogs here!